Equity markets continue the trend of increased volatility that started in late January. The S&P 500 has already seen more than 4 times the number of 1% up or down days so far in 2018 than it saw in all of 2017! 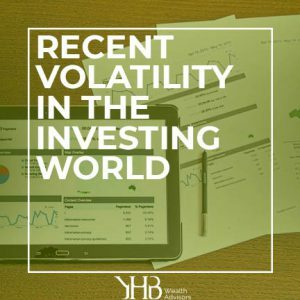 The heightened volatility can’t be pegged to just one or two reasons – there have been a mixture of earnings surprises, Fed uncertainty, rising inflation, rising interest rates, higher priced oil, and recurring geopolitical concerns that have been the “headline” drivers of the swings. The short term volatility can cause investors to experience uncertainty about their portfolios. But it can also present those with a sound plan and a solid asset allocation in quality assets opportunities to buy into either a particular company, or sector, at a discount. I encourage you not to pay as much attention to the short term swings in the broad market – as long as you aren’t too weighted to equities or allocated to extremely volatile sectors – and instead focus on the factors that are more likely to be the drivers of the longer term direction of the markets. One of those factors that I believe could become a very big issue at some point is the amount of debt the government is piling up.. The Treasury announced in early May that the government borrowed a record $488 billion in the first quarter of 2018. That number exceeds the old record from the 1st quarter of 2010 – when the country was struggling to pull out of a deep recession and shore up the failing financial system following the 2008-2009 crisis. This time there is no crisis. No recession. In fact, we’re supposed to be in a growth phase – though at an average of just over 2.3% annual growth. Our economy hasn’t seen the kind of post crisis recovery exhibited in the past. It’s eye opening how fast the US is ramping up the federal debt. In the first six months of the fiscal year (Oct 2017 – March 2018), the US budget deficit rose to $600 billion, with spending increasing at 3 times revenue growth. The Treasury isn’t predicting that pace of spending will continue though as some of it was related to appropriations for storm cleanup following the 2017 hurricanes. The current estimate for the federal budget deficit this fiscal year is $800 billion – which is still a huge number – and is up $241 billion from its estimate a year ago. The CBO recently revised its estimates of the annual budget deficits for FY2018 to FY2028. The newest revisions were much higher than projected last year, and even though they are ugly – they could get worse if the “rosy” estimates of GDP growth don’t actually happen. Their estimates anticipate the annual deficit will top $1 trillion by 2020, and stay above that level every year through 2028! As if that’s not enough to worry about, they are projecting these massive deficits even if the economy chugs along at 4% annually! But we haven’t come close to that growth rate in over a decade. If growth continues at its current pace, the annual federal deficit is much larger. And the debt held by the public – which is Treasury securities held by investors outside the federal government, including individuals, corporations, the Federal Reserve System, and foreign, state and local governments – which right now stands at 78% of GDP, will reach 96% of GDP by 2028. The biggest buyer of Treasuries since the financial crisis has been the Federal Reserve as part of their QE programs. This won’t be the case going forward though – unless we see another crisis that forces them back to the market. In fact, the Fed is actively trying to reduce its balance sheet of the Treasuries it holds. Who are the other largest buyers? China and Japan, and they are trying to reduce their holdings as well. So how will the US float all this debt in the coming years if its largest buyers are not interested in adding to their stash of treasuries? They’ll need to attract new buyers – and those buyers will likely demand higher returns if they are to be enticed into stocking up on US government debt. Think higher interest rates and even more equity market volatility. Which is why I urge you to keep a conservative allocation in your portfolio, focus on owning high quality in both equity and income assets, and don’t take on excessive risk in long dated maturities, or high leverage income investments. Randy has more than 15 years of experience managing financial assets for individuals, retirement plans and businesses. 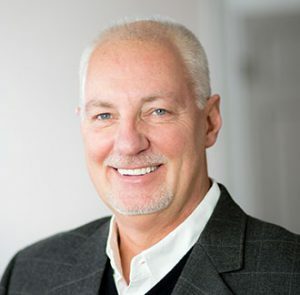 Randy joined YHB | Wealth Advisors in January of 2018 and serves as the Director of Wealth Management. Prior to entering the professional wealth management field, he enjoyed building entrepreneurial business ventures from start-up to eventual sale and providing accounting services for public and private firms.